Whether you picture yourself in a new career or strive to study somewhere where you can make a real impact, our courses can help make your vision a reality. As a research-led University our outstanding contributions benefit society as a whole and address major global challenges.Join our community, and you'll become a part of changing the world for the better. Safe and caring campus. Our accommodation was included in the Student Crown Best Student Accommodation Awards 2018. Outstanding student experience. We were ranked top 10 in The Times Higher Education Student Experience Survey 2018. 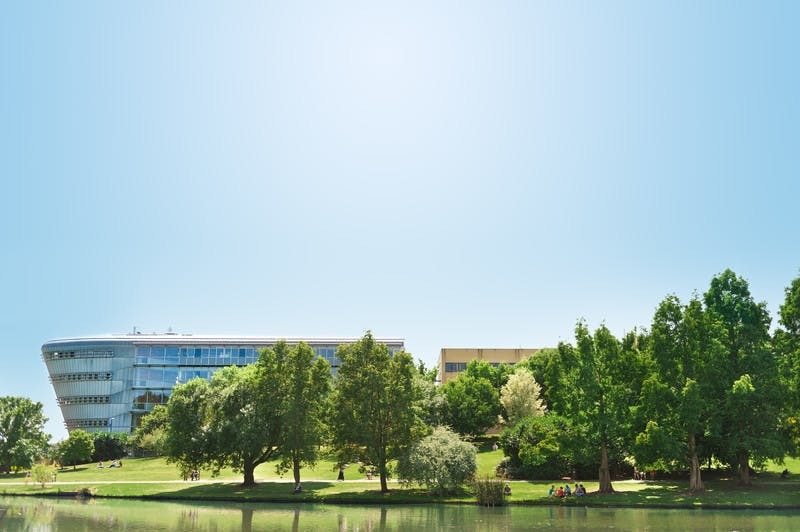 The University of Surrey is structured into three faculties; The Faculty of Arts and Social Sciences (FASS), The Faculty of Engineering and Physical Science (FEPS) and The Faculty of Health and Medical Sciences (FHMS). We will enhance our research excellence and scale to be recognised internationally as a leading research university. Research is at the heart of our mission to create new knowledge and innovate for the benefit of society. Our overarching objective is to achieve research activities that are internationally-leading, contribute economic and social benefits, and support our ambitions in teaching and learning.. Figures from the Higher Education Statistics Agency (HESA) reveal that 95.6 per cent of Surrey’s 2015 graduates were in work (or further education) six months after they graduated. On average, our graduate employment rate over the past five years is 95 per cent. The Student Services Centre can help if you need information, advice and guidance, or support regarding general non-academic enquiries. Think of us as a ‘first-stop shop’ - we have friendly staff trained to deal with a wide range of enquiries and provide key information and help on many University services. If we can’t answer your question, we'll contact colleagues to get the answer or direct you elsewhere if needs be. Current students can access a range of personal information and update certain data through the student records self service portal. 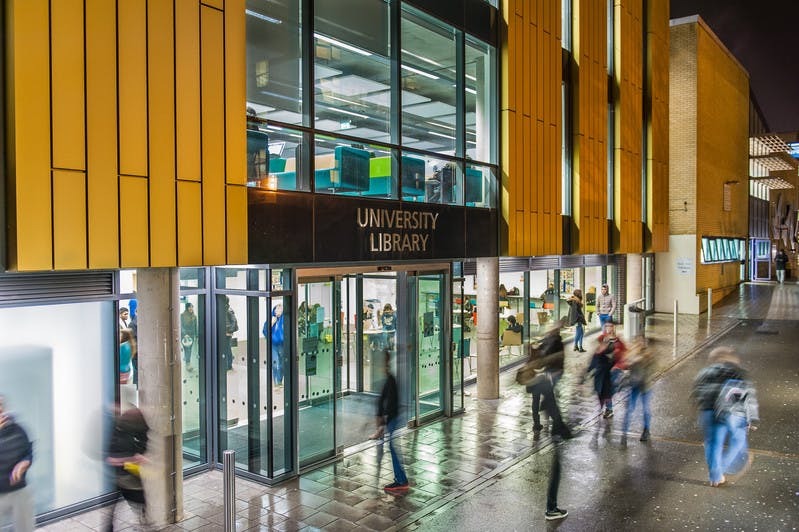 We’ve invested £16 million in the Library over the past five years to create a state-of-the-art learning environment. Within the Library is SPLASH, the dedicated learning development team who provide guidance on your academic work via group-based learning workshops, one-to-one appointments and drop-ins, and online tutorials. As a student at Surrey you will find that IT will play a big part in your time at the University. Whether you are using one of the 900+ PCs in the Open Access PC rooms, connecting to the wireless network or working from home using off-campus secure web access, IT Services will always provide you with efficient and innovative IT solutions. The Centre for Wellbeing provides support when personal issues are impacting on your ability to study and cope at University. We offer advice as well as therapeutic and practical support to help you cope and manage your studies. We have an NHS Medical Practice on site and the Royal Surrey County Hospital is located very close to the university. 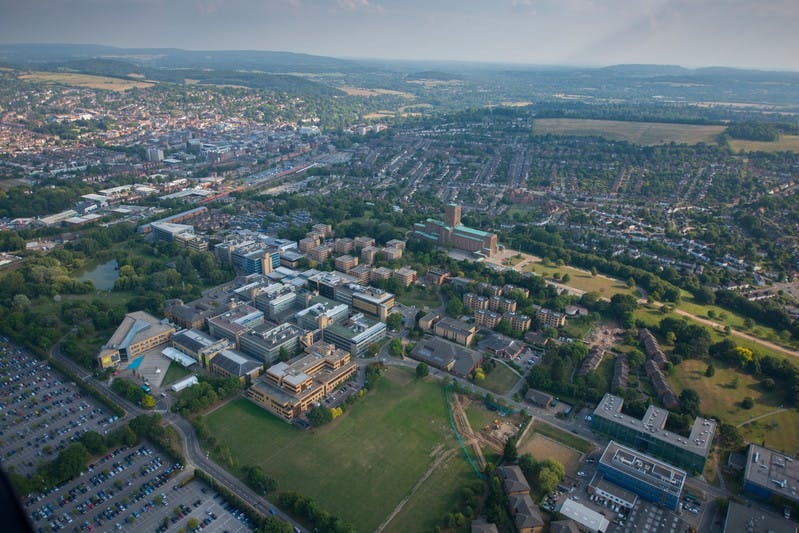 The University of Surrey, is based in the charming town of Guildford and on a beautiful lakeside campus, it is set among countryside just outside London. A vibrant, safe space in which to live and learn, our friendly campus community encourages a real sense of belonging. With over 120 nationalities all playing a role in University life, you will discover a lively, dynamic atmosphere that enriches the student experience. 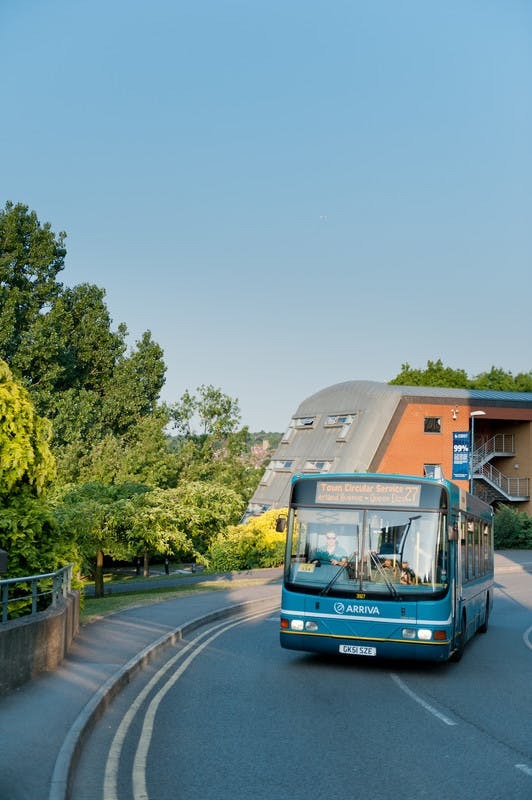 Our campus is easily accessible by road and rail, just a short walk from Guildford train station and well served by local buses. Once you’re here, you can reach everything on foot. Surrey Sports Park is one of Europe’s leading sports venues and the home of Team Surrey. 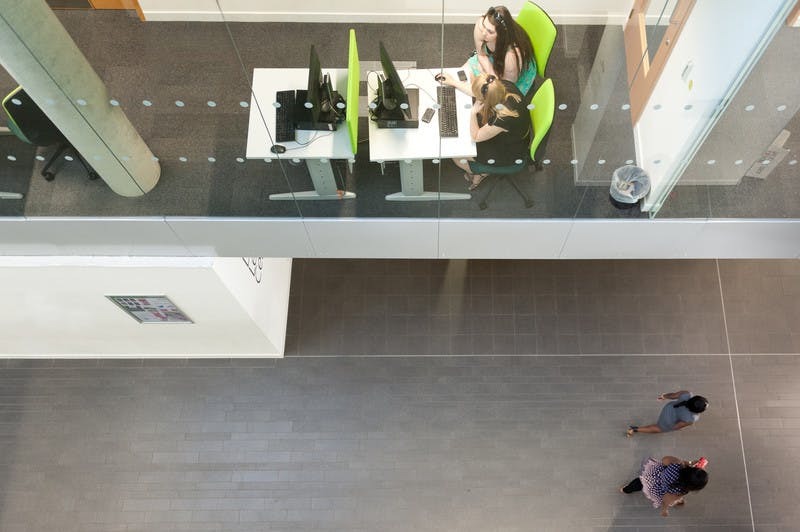 Our fantastic University of Surrey owned facility has seen millions of visitors through its doors since opening in 2010, providing world-class sports facilities, activities and events to University students, staff, elite teams, athletes and the local community. Whether you’re a complete beginner or an established player, you’ll be welcomed into our friendly sporting community. University of Surrey students benefit from discounted membership of Surrey Sports Park, giving access to a huge range of facilities, classes and activities, as well the opportunity to join sports clubs and represent Team Surrey. The University of Surrey Students' Union is not-for-profit charity, independent from the University that represents all University of Surrey students on a local and national level. Many of our degree programmes are accredited by professional, statutory and regulatory bodies.